Adventure Map Bolivia  - $10.95 : Trail Explorers Outpost, Keeping the Adventure Alive! 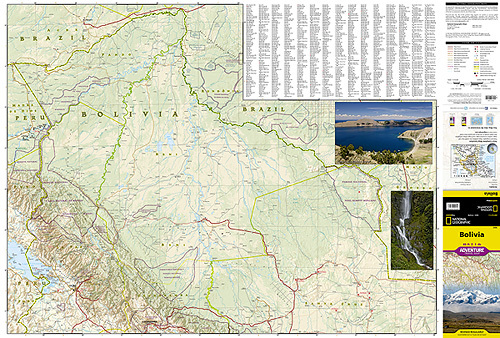 National Geographic's Bolivia AdventureMap is designed to meet the unique needs of adventure travelers with its durability and accurate information. This folded map provides global travelers with the perfect combination of detail and perspective, highlighting hundreds of points of interest and the diverse and unique destinations within the country.